The William Cook group has won investment from a consortium bidding to build the next generation of armoured personnel carriers for the British Army. ARTEC’s Boxer modular vehicle is one of the contenders for the Ministry of Defence’s Mechanised Infantry Vehicle (MIV) programme, which will see up to 800 eight-wheeled vehicles delivered to the British Army. If successful, Sheffield steel from William Cook will be used to protect the lives of British soldiers in conflict zones. One of the two partners in the ARTEC consortium, the European tank builder Krauss-Maffei Wegmann (KMW), has invested in tooling at William Cook’s Sheffield and Leeds factories to strengthen its UK supply chain in advance of an order from the Ministry of Defence. The tooling will be used to manufacture high strength steel castings which are bullet and blast proof. 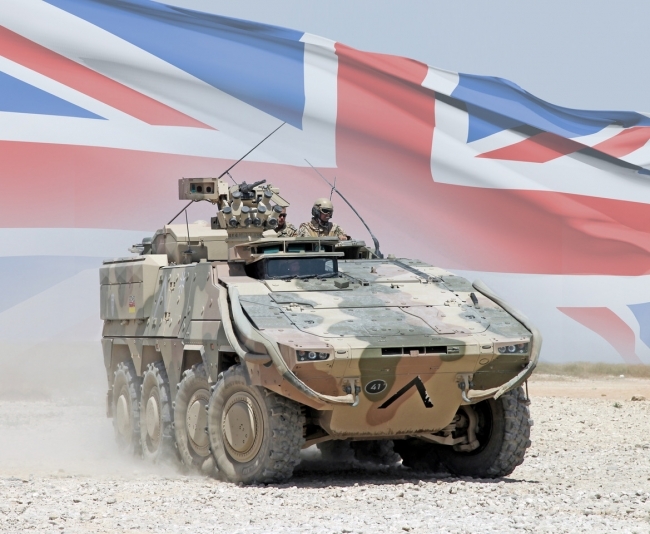 KMW and Rheinmetall, the other partner of the ARTEC consortium, have invested heavily in their UK supply chains for Boxer, which would be built in the UK. The competing vehicles for the MIV programme are all built by foreign companies with very few British suppliers. William Cook, managing director of the group’s defence division, said: “The Boxer proposal for the MIV programme supports British manufacturing and will help to boost Britain’s export potential. “It will create and protect skilled engineering jobs and strengthen the UK’s position in a strategic global sector. “For decades, our company has manufactured the tracks and armour for British tanks and armoured vehicles. These advanced armoured steel castings made at our world class factories in Sheffield and Leeds will provide the very latest and best standards of protection for British soldiers. Whichever vehicle is selected for the MIV programme will form part of the British Army’s two rapid reaction Strike Brigades capable of travelling “far and fast” to counter terrorism and build stability overseas. The Strike Brigades will also include the Army’s new Ajax tanks, with tracks manufactured by William Cook. The Boxer is one of the best-protected 8×8 wheeled vehicles and earned its stripes during active service with the German army in Afghanistan. It offers maximum protection from mines, IEDs and direct fire, and is characterised by high mobility, both on roads and in the roughest terrain. Its unique concept of interchangeable drive and mission modules provides high flexibility and a diversity of models.